Donna Wells: Writer/Producer/Director moved to New Mexico in 1989 to attend the Anthropology Film Center, a 16mm ethnographic film school in Santa Fe. She spent the previous 13 years living in Los Angeles, where she studied acting with Lee Strasberg and Peggy Feury and worked behind the scenes in the film industry for production companies such as Fonda Films, New World Pictures, and Compass International Pictures. She was inspired by her work with Argentine Director, Luis Puenzo, who encouraged her to write and pursue her own projects. In 2001, she completed her MFA in Creative Writing at Goddard College in Vermont. In 2007, she wrote the exhibit text and produced and directed the exhibit film, “Free Flow: The Gila River in New Mexico,” for the New Mexico Museum of Natural History and Science. She completed her first full length documentary film, “She had some horses,” in 2011. The film has screened at numerous festivals across the country, including the Intendence Film Festival in Colorado where it won the Jury Prize for Best Documentary in 2013. Doug Crawford: Cinematographer for the Trainers' Challenge is an Emmy and Peabody award winning cinematographer with over 25 years of experience. 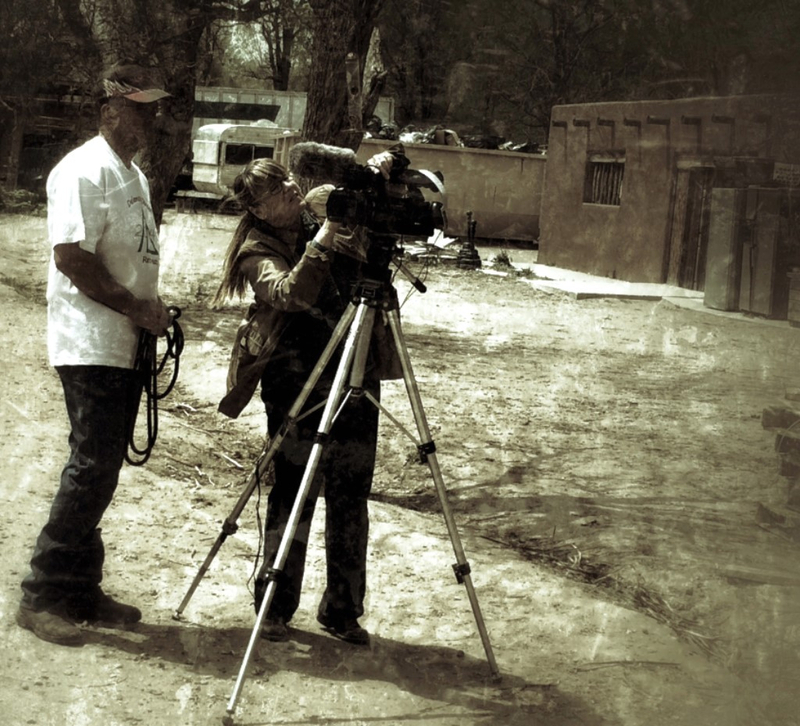 He is known for his direction and filming of the award-winning Surviving Columbus: The Story of the Pueblo People (PBS, 120 mins., 1992) and as Director of Photography for The Native Americans (TBS, six hours, 1994). Mark Kashmar: Composer/Musician has a long history as a musician in Ruidoso, New Mexico, playing in such haunts as The Swim and Racket Club, Chaparral, and Cousins after moving town in 1976 to accept a teaching job. He returned to Ruidoso again in 1998, after spending time in California and Santa Fe, where he continued to play in local Ruidoso spots like Le Cave and Café Rio. Most recently, he performed at the Ruidoso Mountain Blues Festival and continues his regular Thursday night at Café Rio. He also performs regularly in Hatch and Las Cruces, New Mexico. His music and composition for "She had some horses" led to the film being chosen to screen at the Park City Film Music Festival, the first US film festival dedicated to the impact of music in film. He composed the score for Ms. Wells' current film about the Horse Shelter in Santa Fe, New Mexico, "Horse Shelter Diaries."